Are you aware that the human brain creates about 12 watts of electricity? Same 12 watts is capable of powering a low-led light so we have put together a little competition to make your brain work harder. Let’s see how fast you can figure these photos out so prepare your stop watch and let’s see who’s got the fastest brain. We are looking at a photo from an office setting. Though the location and company is unknown, we are still able to gather information from it. One thing that strikes the eyes is the heels and we bet you are asking who is wearing the heels. Now we don’t know what’s going on here either but we are sure we see a guy enjoying his lone time with his bike. If care is not taken you would assume there is someone sitting on the bike and bending towards the helmet; it’s brings us to the question of if she’s a girl. Wow it seems he eats a lot of protein. 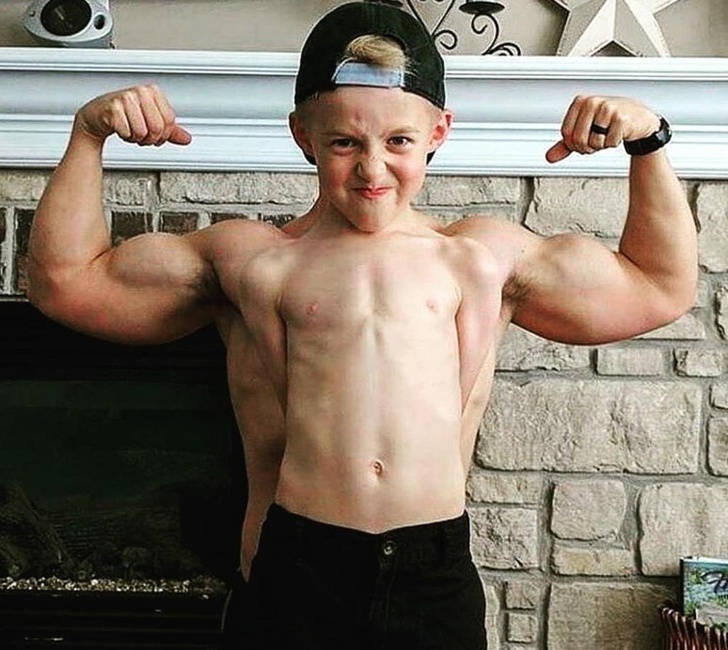 Little man has a strong affinity for muscles so he tries to fool us into thinking he’s got intimidating muscles; must confess it worked for a few seconds before realizing its his dad’s. 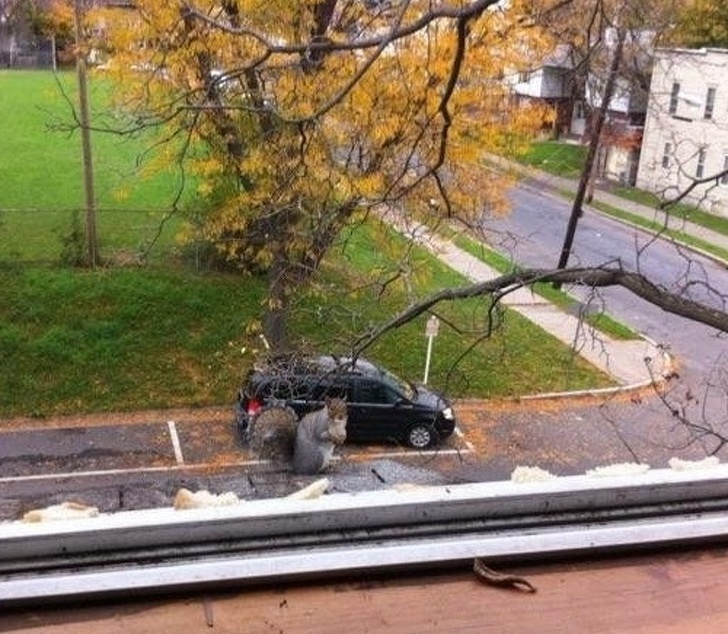 Isn’t this a marvelous sight, a squirrel this big is something we all want to witness with our own eyes. Look at it, eating and enjoying itself, and looking suspicious because it is about to break into someone’s car. 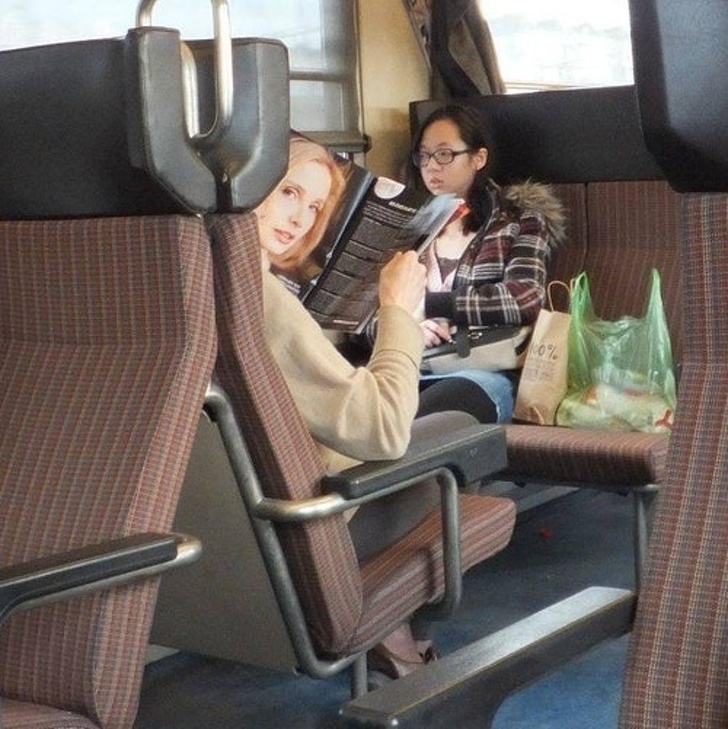 Imagine you are having a ride on a train and you notice something like this, what is the first thing that comes to your mind. What comes to your mind within the first 3 seconds; is she real? Or would you simply sat stop staring at me please? 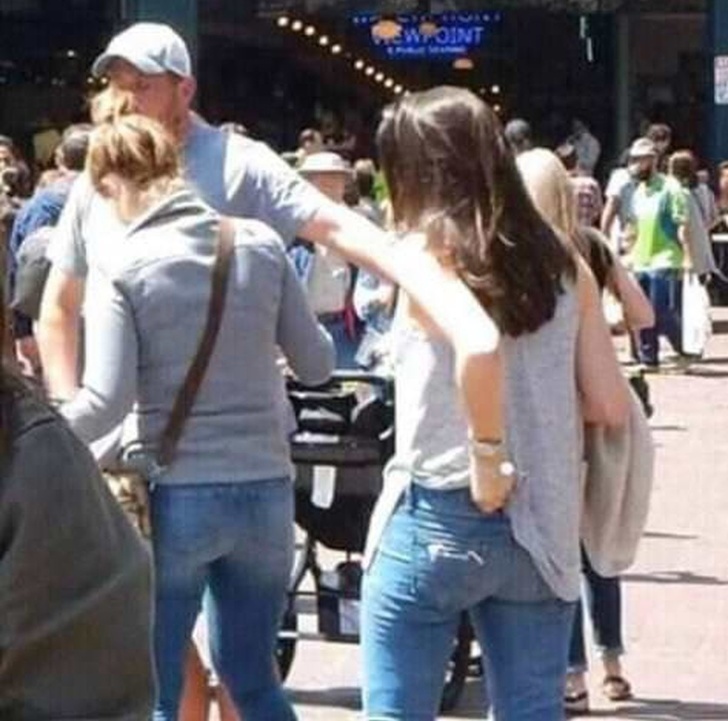 It is regarded as one of ills of our society; it seems this skillful fella is able to stretch his hands from that distance into the ladies back pocket or was it the lady’s arm? We will never know. All we can say is beware of pickpockets because they will do anything once they notice a target. 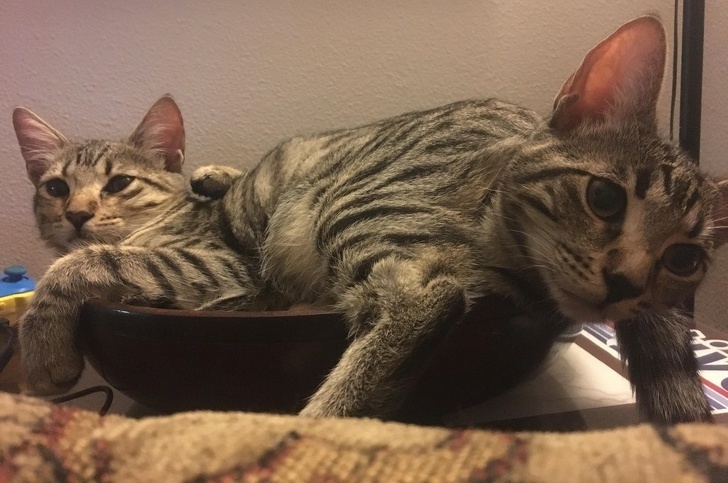 They are so cute; one looks like it’s about to sleep while the other is seriously curious about something. They look like a conjoined twins attached all through their belly. Let’s say they are a new brand of chocolate; we will prefer to call them CatCat or better yet Kit Kat. 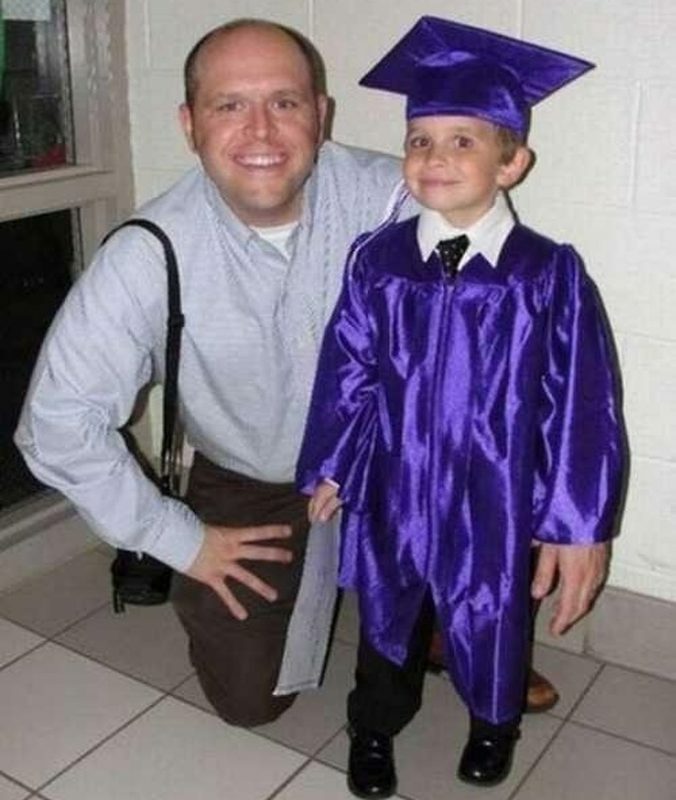 Little man got his future figured out; he just graduated nursery school and daddy is there to celebrate with him. However, there is an abnormality in this photo and we hope that it is his dad’s hand or else it would be really weird. Relax it is only a vase. The photo above shows us a beautiful young lady in a pose. 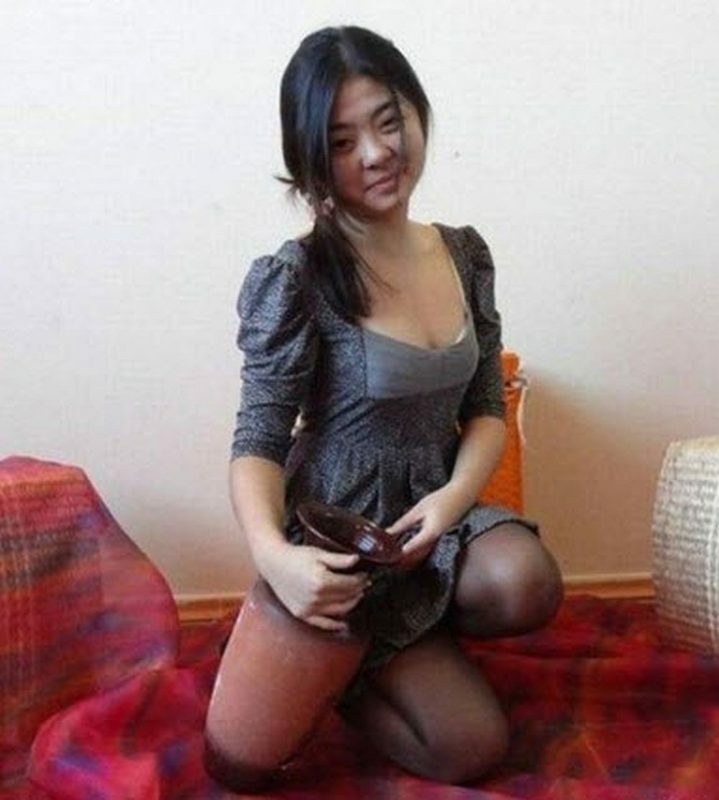 What you won’t notice at first is her ability to confuse every one of us with her smile and pose; if care is not taken you would think she has three legs; once you see it the spell is broken. The picture above takes abnormality to the highest level. This young man in this photo is having good time with his family so you would think it’s a grown man with a small body or you would tell him to gain some weight when in actual fact it belongs to his lady. 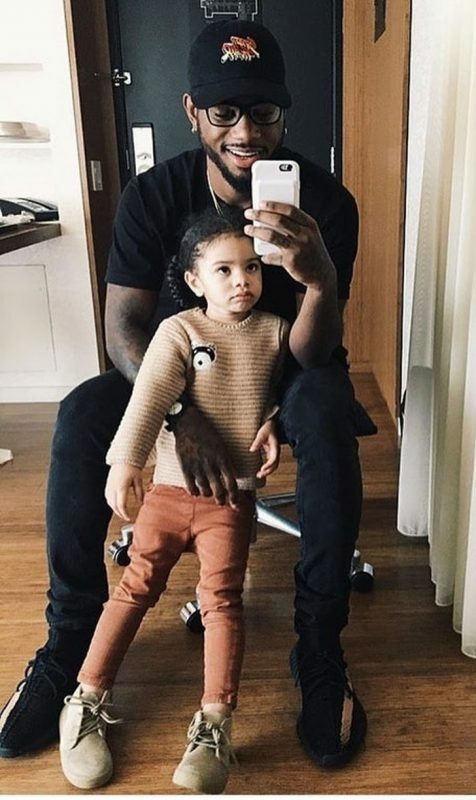 Look at that face, baby girl is so beautiful and she knows it is her duty to share God’s work to the world; so what better way to show us than with her father. You can imagine she is as beautiful as her mum. It looks like she goes to the gym frequently like she sure doesn’t miss arm day. This photo looks a bit unusual as one might think the ladies are conjoined in the waist when if you look well they are actually different persons. who knows maybe that’s why she won the award for miss popular 2012. This picture could make the readers think this couple is into some cross dressing fetish. 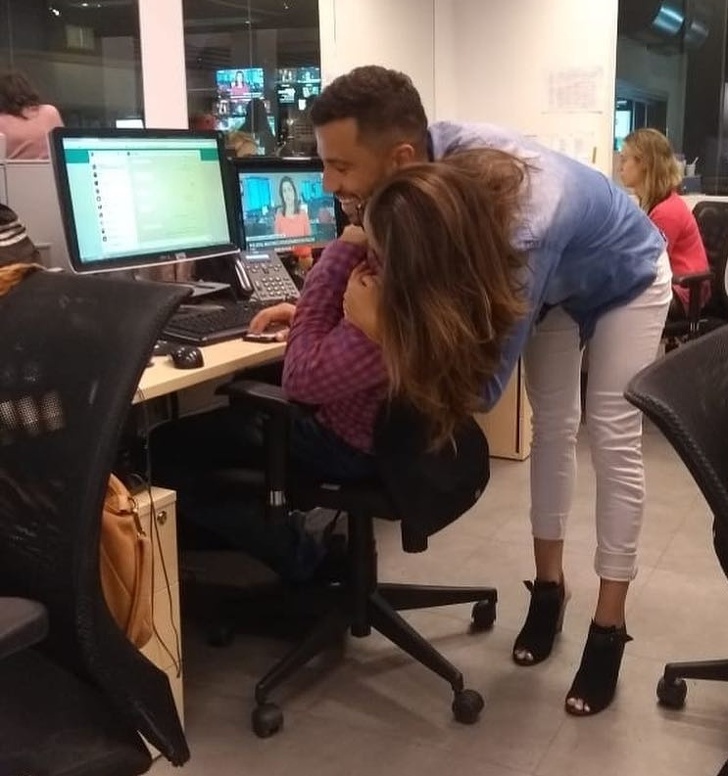 WE must say it looks really weird seeing the man in a skirt and a pair of heels while his partner is said to be wearing his pants and shoes. 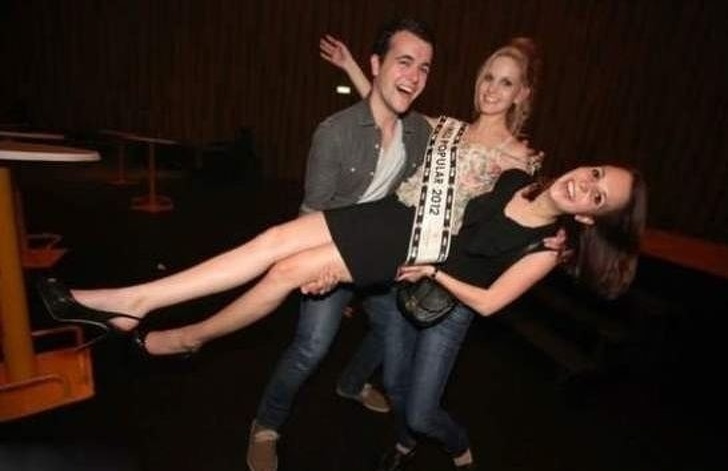 She’s lucky to have such an elegant man. Quick question, have you got any idea what we are looking at? 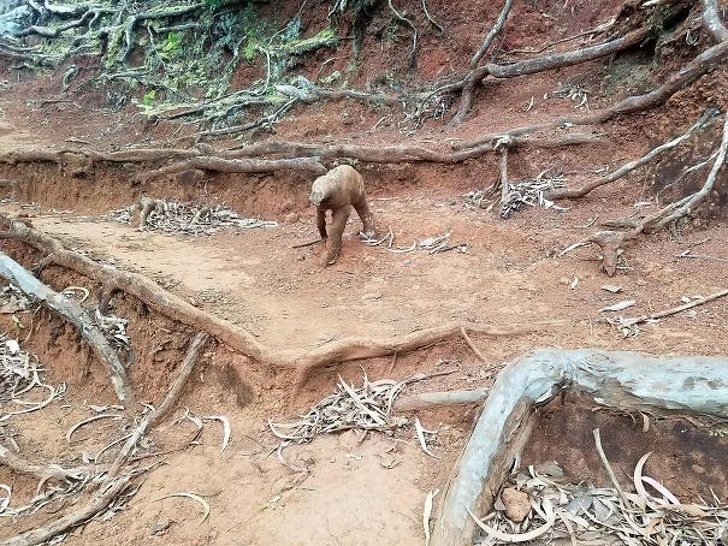 We guarantee it would take you a while to figure out what it is; probably all kinds of animals are going through your head meanwhile it is just part of the rest of the tree roots you see in the background. Have you got clue on what is happening here? These friends decided to have some fun at the wrong place and wrong time. 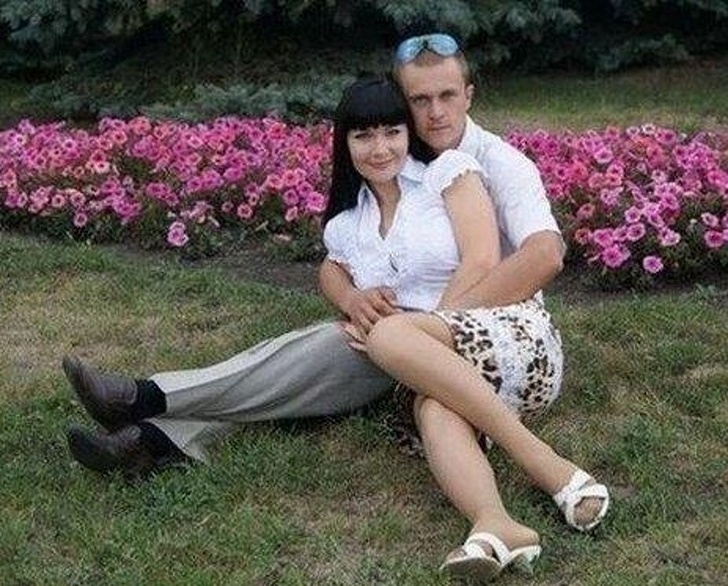 Their photo looks a bit disturbing at first but after looking at it for a while we notice it is simply one of them carrying the other.